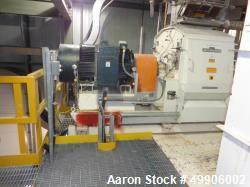 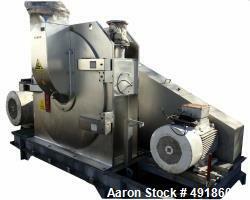 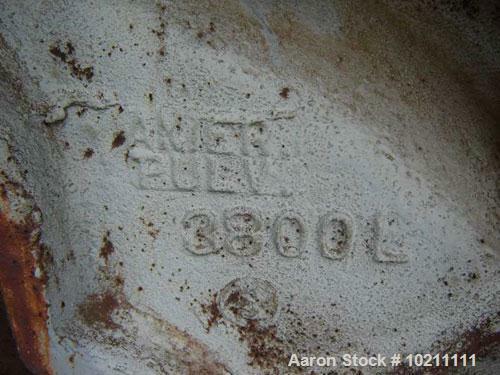 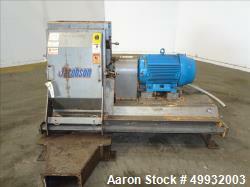 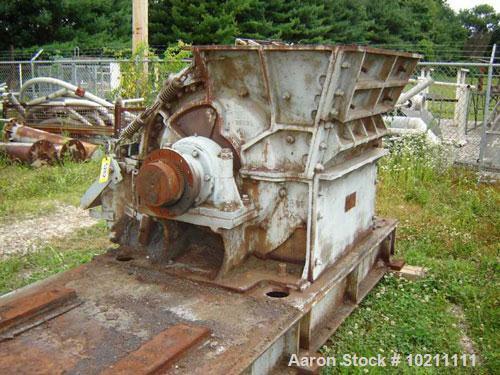 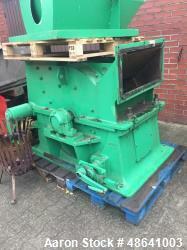 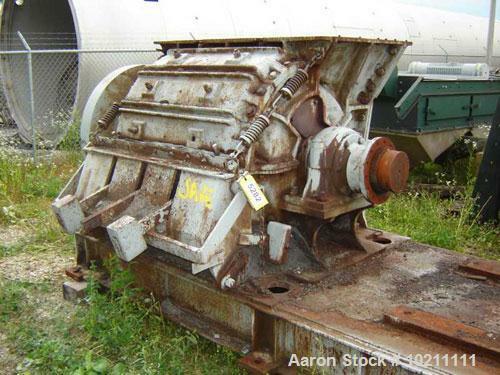 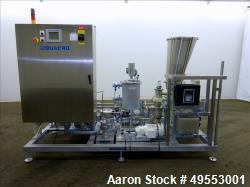 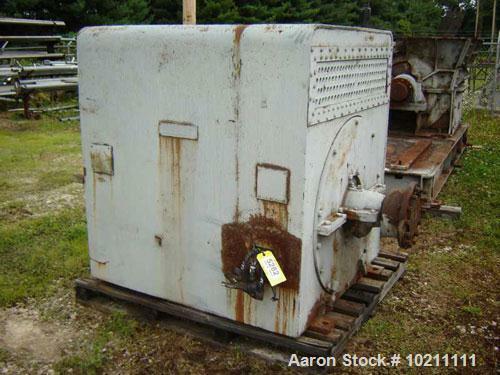 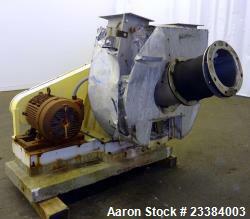 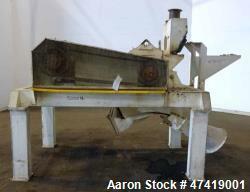 Used-American Pulverizer Ring Mill, Model 3800, Type ST.T, Machine #3800. 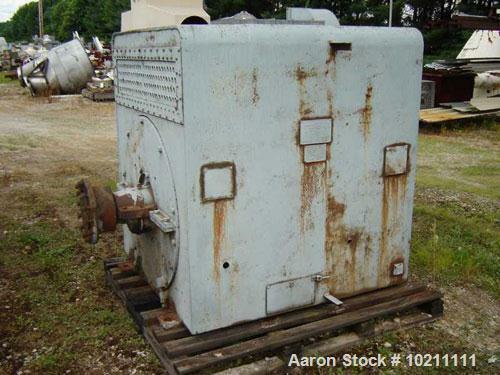 Unit hand rotates and is driven by an Elliott 200 hp, 885 rpm direct drive, 440 volt, 244 amp, 60 hz, 2814 frame, 3 phase motor. 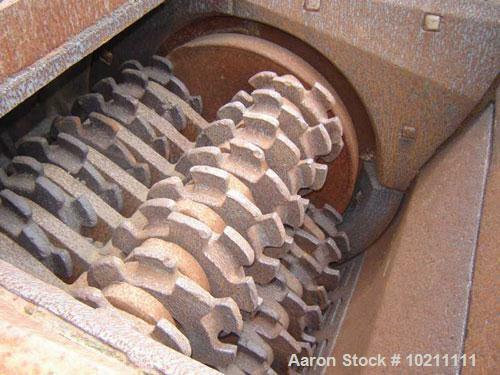 Motor weight is 7400 lbs consisting of 4850 lbs of stator and 1450 lbs of rotor and 1100 lbs of end bells. 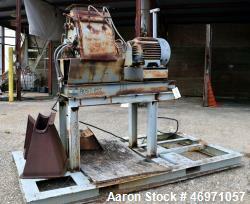 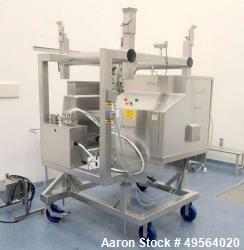 Overall dimensions of mill with motor mount base are 64" wide X 156" long X 61" high. 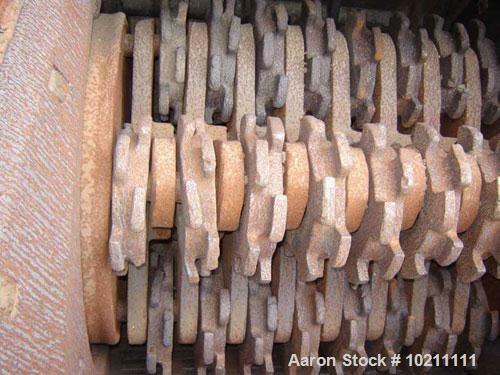 Flywheel is on non-driven end.